Protect customer mailing lists and adhere privacy policies. Protection of privacy is important when sending out mail blasts - in the eyes of your customers as well as in the eyes of the lawmakers. The careless handling of legal regulations can result in high fines. Web-based email-marketing solutions force you to upload your mailing lists to servers all over the world. Many customers strongly dislike this practice. Where is my data processed? Is this international server really secure? Is the server hosting company in compliance with the data protection laws in my country? Data management: You decide where you want to save your customer data. The internal database enables you to easily manage your mailing lists, your files are safe at all time. Send your mass emails without ever sharing valuable data. Sending and unsubscribing: SmartSerialMail offers you pre-configured and ready to use unsubscribe links, which you can easily manage together with your imprint in your Quick Parts. With Quick Parts you can use text elements such as your imprint or signature several times in different e-mails. A unsubscribe link unsubscribe link can be inserted into your e-mail with just a few clicks. Blacklists: If you receive unsubscriptions by email, you can add the senders to a blacklist. All email addresses in a blacklist are automatically excluded from sending. Opt-in procedures: Sending newsletters without the expressed permission of the recipient can mean cease-and-desist orders or fines. A standardized opt-in procedure helps you to be on the safe side. SmartSerialMail supports you in the legally compliant implementation by means of the built-in opt-in/opt-out procedures and thus ensures that you can obtain legally effective consents from the addressees. 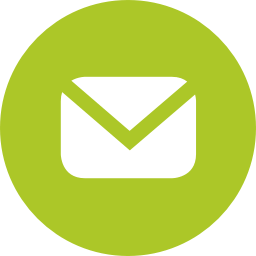 With SmartSerialMail you can send your newsletters from your own PC and work independently of the server performance of your provider. This keeps all data in your hand. No internet connection is required except for sending. SmartSerialMail sends e-mails via your e-mail account, there are no more parties involved in sending than necessary.